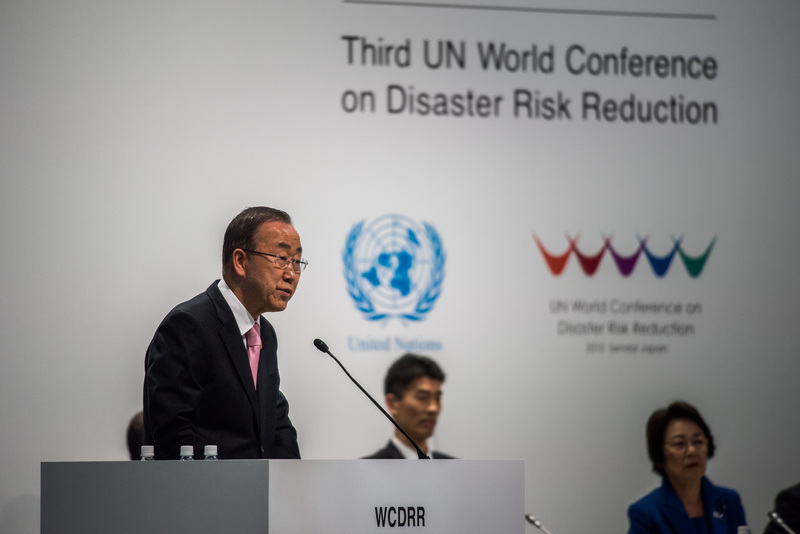 The Sendai Framework was recently adopted by 187 countries, including the UK, at the World Conference on Disaster Risk Reduction (WCDRR) which took place in Sendai, Japan in March 2015. PHE’s Public Health Strategy Division has worked towards giving public health and science a bigger role within the Sendai Framework, and is currently looking at what the new framework means for disaster risk reduction in terms of health and scientific research in the UK and abroad. Why does Public Health England have an interest in global health and disaster prevention? Although we’re an England-focused agency our work on global health ensures we’re able to detect and respond to events that might have implications for the UK. It also means we can use our experience and expert knowledge to assist public health colleagues around the world. Disasters don’t recognise borders, and carrying out our remit to protect and improve the nation’s health and wellbeing means being globally aware and active when appropriate. The Sendai Framework is a voluntary agreement between UN member states which aims to reduce the consequences of disasters on people’s lives, livelihoods and health. It’s actually the first of three landmark agreements made as part of the United Nations’ post-2015 agenda. The other two are the Sustainable Development Goals which will replace the Millennium Development Goals and the climate change agreements due later this year. It’s called the Sendai Framework after the city in Japan where the World Conference was held. Is this a completely new idea? No, the Sendai Framework builds on the Hyogo Framework: Building the Resilience of Nations and Communities to Disasters 2005-2015 (HFA) which emphasised disaster risk reduction as a priority within regional, national, and local agendas. During the ten years of the Hyogo Framework, we saw scientists, policy makers, practitioners, businesses and civil society work together on building resilience and reducing the vulnerability of communities to disasters from a variety of hazards including floods, tsunamis and earthquakes. What’s the difference between this new framework and the old one? The new Sendai Framework lets us build on the legacy created by the Hyogo Framework and gives us a way forward for the next fifteen years. Unlike the old framework, the Sendai Framework has a specific focus on the issue of health, a move which has been well-received by public health professionals worldwide. We see this focus on health as a step forward, but we also recently published an editorial in the World Health Organisation (WHO) bulletin arguing more progress is also needed in addressing the underlying reasons for health vulnerability including poverty, inequity, poor urban planning and land use. What are the public health commitments in the framework? The framework text and its adoption by the United Nations General Assembly has given the disaster risk reduction community, guidance and strategy for the next 15 years and it is hoped that within this period, public health within disasters will receive the investment and attention it requires. Given public health’s long tradition of using science as its underlying knowledge-base, we also hope that the Sendai Framework (working within the commitments agreed) will help to embed the importance of science and technology in disaster risk reduction.